This house in Vietnam encourages kids to put down their gadgets and play! 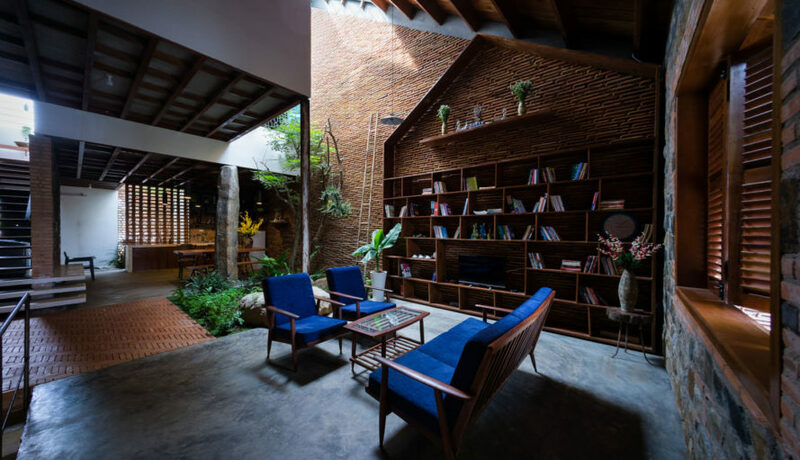 3 Atelier brought nature inside by creating an interior reminiscent of a large tree house. Tile walls keep the home warm at night and cool during the day, and the owner's children can climb a tree planted next to the dining area and use the soil to grow vegetables. The architects at 3 Atelier designed the tranquil home for their uncle and his family. The idea for the house emerged during the construction of another of the firm’s projects located in Di Linh Highland. While selecting materials for the project, the uncle mentioned his desire to move away from the local market, where he sold rubber shoes and clothes. He then commissioned 3 Atelier to design a house that would encourage his kids to play and experience nature. The new house is located next to a highway, but it manages to provide a tranquil environment with plenty of privacy. The structure is made from a variety of traditional and modern materials that reference the parents’ childhood houses. The architects at 3 Atelier designed the tranquil home for their uncle and his family. The idea for the house emerged during the construction of another of the firm's projects located in Di Linh Highland. While selecting materials for the project, the uncle mentioned his desire to move away from the local market, where he sold rubber shoes and clothes. He then commissioned 3 Atelier to design a house that would encourage his kids to play and experience nature. The new house is located next to a highway, but it manages to provide a tranquil environment with plenty of privacy. The structure is made from a variety of traditional and modern materials that reference the parents' childhood houses. The architects at 3 Atelier designed the tranquil home for their uncle and his family. 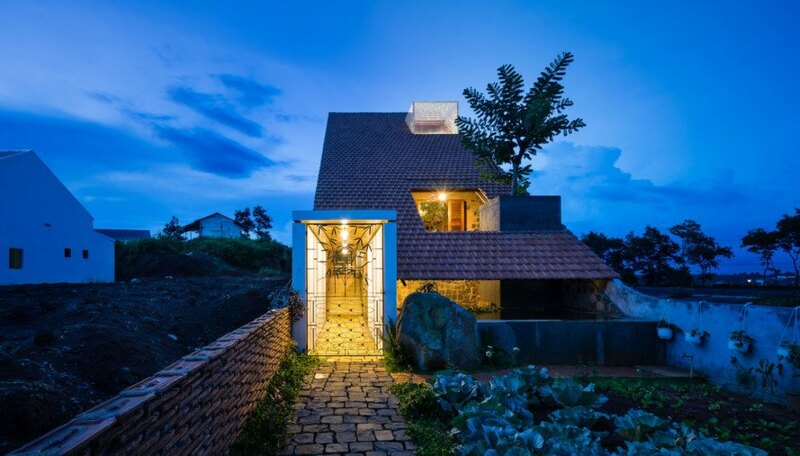 The idea for the house emerged during the construction of another of the firm's projects located in Di Linh Highland. While selecting materials for the project, the uncle mentioned his desire to move away from the local market, where he sold rubber shoes and clothes. He then commissioned 3 Atelier to design a house that would encourage his kids to play and experience nature.